Sergey Lavrov: During the summit in Moscow last May, Chinese President Xi Jinping and President Vladimir Putin signed a memorandum on the initiative to join Silk Road Economic Belt projects and the processes of Eurasian economic integration. Naturally, Russia and China are not the only two potential participants in these efforts. This issue concerns the entire EAEU. The initiative put forward by the leaders of our two countries is now being reviewed by our EAEU partners. Both Russia and China believe that SCO is a convenient venue for all the parties concerned to discuss specific aspects of this initiative. Our SCO partners are interested in discussing all aspects of joining Silk Road projects with Eurasian economic integration. Let me repeat that this is not just a Russian-Chinese project. It was suggested by their leaders but must have a multilateral dimension. Naturally, we’ll inform you about the specific areas of practical work that will be determined by the SCO and during contacts between the EAEU and China. Apart from the SCO, which includes all potential participants of this major initiative, the EAEU and China are also developing their partnership and contacts. Question: The SCO Summit in Ufa will adopt a statement on the 70th anniversary of the defeat of fascism. What is the significance of the common position of the SCO members against the backdrop of attempts to revise the outcome of World War II? Sergey Lavrov: The 70th anniversary of victory in World War II and the Great Patriotic War, the victory of the Chinese people over Japanese militarism and the end of WWII are sacred dates. We are making special efforts to prevent the world community from forgetting the reasons and results of WWII and to explain who won the war and who tried to enslave the world and establish unilateral, dictatorial orders. Recently, in Europe and other parts of the world, certain forces have been alleging that everything was different from what we remember and that definite conclusions should be drawn from that. 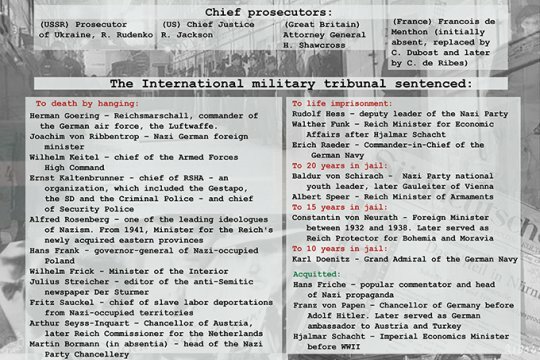 They believe it is possible to put to doubt the sentences of the Nuremberg Tribunal, to remove monuments to the heroes of the war, and to bracket them with those who served the fascists, who were their accomplices. This is a very dangerous problem, with far-reaching consequences. It is important to nip these efforts in the bud, to prevent those responsible from seizing hold of the media and making such allegations the focus of debates about the future of the world. Such debates have practical significance. Revising the results of WWII calls into question the entire system of international relations that is centred on the United Nations. I don’t think I need to explain to this audience how dangerous this is and what serious risks are involved in such attempts. Therefore, Russia, China, other SCO members and the overwhelming majority of other states are working together to prevent the attempts to glorify Nazis and Nazism and to curb very dangerous trends that we are observing near our borders in Europe. It is no accident that the overwhelming majority of countries voted for the UN General Assembly resolution on countering the glorification of Nazism, which was co-authored by Russia, China and other SCO member states. Question: Participants in the Ufa summit plan to launch the process of India and Pakistan’s accession to the SCO. It is common knowledge that relations between these countries are fairly difficult. Won’t this create some problems in the SCO? Sergey Lavrov: As regards the composition of the SCO and the upcoming accession of new members, we believe, to the contrary, that the more formats there are for cooperation and communication (between India and Pakistan in this case) the more opportunities there are to help these two neighbouring countries to overcome ongoing disputes. We are extremely interested in developing relations with them. Some of the current SCO members also have problems in relations linked with water supply and energy. By providing a venue for mutually respectful, equitable and constructive dialogue, the SCO is creating the necessary atmosphere for overcoming these disputes as much as possible. In this way countries that are divided by disputes gain an additional format for discussing them and finding solutions. I’m convinced that SCO membership will be a plus for the development of bilateral relations between India and Pakistan. Question: We are getting used to hearing Western statements about how Russia is a threat. Today, US Secretary of the Air Force General Deborah Lee James called Russia “the biggest threat.” What do you think about this statement? Sergey Lavrov: We have become accustomed to these statements that we hear now and then from Washington about what global threats the United States considers “major” or “minor.” We have also become accustomed to the fact that the military (secretaries of defence, representatives of the Joint Chiefs of Staff, or other secretaries, this time of the US Air Force, and other branches of the military) regularly make statements that, in general, should be made by the politicians. Of course, we are concerned by the fact that this creates an artificial atmosphere of animosity. It has absolutely nothing to do with the reality or Russia’s plans and actions. We do have channels to maintain dialogue with Washington. I can assure you that no such hysterical statements are made in the course of regular, level-headed contacts. We are told that all this should be attributed to the need to somehow “reassure” public opinion, and show the American public that “Washington remains vigilant,” and no threats will compromise the security of the United States. We have a philosophical approach to this. We regularly remind our American colleagues that the public opinion to which they are trying to respond is a problem of their own making. First, they make allegations against us, and public opinion starts running high. Later, they start citing public opinion when they take practical rather than rhetorical steps, and proceed to build up NATO’s military infrastructure near our borders in violation of the commitments made by NATO under the Founding Act on Mutual Relations, Cooperation and Security that was signed by Russia and NATO. Question: It appears that the “Iranian Marathon”, also known as the talks over the Iranian nuclear programme, is nearing completion. Much of the credit for this goes to Russia, which, among other states, has been actively working to lift all sanctions and is against sanctions, in general. However, many remain interested in maintaining the sanctions. Today, we heard the Iranian side saying that it would be nice if the signing ceremony was attended by Foreign Minister Sergey Lavrov. How likely is it that this historic event – the signing of an agreement, with you in attendance – will take place tomorrow? Sergey Lavrov: Moscow's position at the Iranian nuclear talks is that we made a significant effort to revive them and make them steady and goal-oriented. For years, they were deadlocked, but a couple of years ago, Russia proposed finding a basis to resume them, and follow the principles of gradualism and reciprocity, that is, to proceed from the assumption that things can’t be fixed in one stroke. The parties needed to start with simple things, and make sure that every positive step by Iran aimed at addressing the IAEA’s and the international community’s concerns is met by positive responses in the form of easing the sanctions. This was used as the basis for the interim agreement in November 2013, which all six participating nations and the Islamic Republic of Iran have fully complied with. Now, based on a combination of the same principles of gradualism and reciprocity, we are close to signing the final and comprehensive agreement, which is in reach and is based on a formula approved by President Putin as part of Russia’s Foreign Policy Concept, namely, ensuring Iran's right to peaceful development of nuclear energy, including the right to enrich uranium, while clarifying all the issues concerning the content of the Iranian nuclear programme and lifting all sanctions. Clearly, this will not be a one-time act, but rather an agreement that will include several stages. This is being finalised at the Vienna talks. With regard to the next meeting of foreign ministers of the group of six and Iran – this time to finally approve this agreement, hopefully – it could happen any moment. I believe that as soon as my participation in the Ufa summits is finished, I will be ready to join my colleagues. I hope that it will really be the final meeting, where we will finalise individual points, and no one will try to reopen previous agreements. Unfortunately, our recent contacts were not free from such attempts, which don’t promote our cause, but only set us back, thus postponing a final agreement. Question: Could you reassure the business community as a Russian authority? Many entrepreneurs fear they will have big problems on the Iranian market with the lifting of sanctions on Iran. They are also concerned that oil prices may fall, aggravating the economic difficulties of the Russian economy. It is perfectly obvious that these apprehensions are a myth and I’d like to ask you to dispel it. Sergey Lavrov: As for the economic consequences of lifting the sanctions against Iran, I don’t think that business people are efficient if they take advantage of some abnormal situations linked with the imposition of sanctions on a particular country, as a result of which their competitors do not operate in that country. Our companies continue working in Iran. They have steady contacts there. Russian energy companies and those dealing with infrastructure and high-tech projects are competitive and experienced enough not to be concerned about the lifting of all the restrictions on Iran’s foreign economic contacts. I am convinced of this. Russia, including its Foreign Ministry – and this is written in all of our conceptual documents – will do everything to prevent any discrimination of our economic operators. Moreover, considering Russia’s consistent position in all of the stages of the talks on the Iranian nuclear programme, I’m convinced that we’ll even have certain advantages on the Iranian market. Question: Speaking at the meeting of the SCO Council of Ministers of Foreign Affairs a month ago, you said that the SCO Summit will upgrade the status of Iran. Experts were not sure what you had in mind. There are permanent SCO members and partners, but we are not clear what is meant under the upgraded status. Sergey Lavrov: I don’t remember using such terms. We proceed from the premise that Iran, like India and Pakistan, applied for fully-fledged SCO membership and we want tomorrow’s summit to endorse its application. We stand for its implementation on the basis of SCO membership criteria. To become a SCO member, an applicant should not be exposed to UN Security Council sanctions. Therefore, the Vienna talks that are about to be completed, paving the way to the lifting of the sanctions, are very important for this reason. We discussed this in detail with my colleague and friend, Iranian Foreign Minister Mohammad Javad Zarif, literally three days ago when we met in Vienna last Monday. Question: The OSCE Parliamentary Assembly (OSCE PA) endorsed the anti-Russian resolution submitted by Ukraine and Canada. Could you comment on this? Sergey Lavrov: Honestly, I don’t know what to comment on here. We see such resolutions adopted in the European Parliament and PACE where the powers of the Russian delegation were restricted and our MPs cannot take part in the work of this agency for that reason. The absolutely scandalous conduct of the hosts of the OSCE PA latest session in violation of all international standards and commitments of states hosting such events prevented our delegation from taking part in this parliamentary forum as well. In our absence, its participants yielded to the temptation to engage in propaganda instead of practical work. Let me recall that our delegation and its leader – Speaker of the State Duma Sergey Naryshkin – have already proposed establishing in OSCE PA a contact group of MPs from European countries, the United States, Ukraine and Russia in order to discuss what is happening in Southeastern Ukraine and find some points of contact and try to create an atmosphere conducive to the full and comprehensive implementation of the Minsk agreements. But this proposal is being ignored. Others do not want to talk about this issue with us. Apparently, they find it more convenient to express their unilateral positions in our absence, without a normal opponent. Question: Do you discuss the problem of the Islamic State (ISIS) with your BRICS and SCO colleagues at official and unofficial meetings? Can a consolidated position on ISIS be adopted in the near future? Sergey Lavrov: BRICS and SCO have their own position on this very urgent issue. It is defined in draft final documents that will be submitted as the declarations of BRICS today and of SCO tomorrow. Our position is that this is an absolute evil and not only ISIS but all terrorists groups such as Jabhat al-Nusra and smaller units of “terrorist international.” It is necessary to fight them with resolve and without double standards, without trying to use some abnormal situations for opportunistic purposes in the belief that terrorists could be “temporary companions” and be used for overthrowing an objectionable regime in a given country. Such attempts were made in Syria when some of our partners turned a blind eye to terrorists’ activities and repeatedly blocked our initiatives denouncing terrorism in Syria in the UN Security Council. They bluntly told us that terrorists are bad guys, but they are acting against an illegitimate regime, so if Bashar al-Assad disappeared from the political scene terrorists would not try to get there because now they are going there with the express purpose of stopping the activities of his “bloody regime.” Our partners, including those from Western Europe and America, said this to us in genuine earnest. Meanwhile, the UN Security Council repeatedly emphasised in its resolutions that there can be no double standards in fighting terrorism. All acts of terror must be denounced, no matter who perpetrates them and where. Double standards should be abandoned at least from an instinct of self-preservation as today ISIS is posing a threat to the absolute majority of the world’s countries. Europe, the United States and Russia are already taking measures to track terrorist militants from among their compatriots who are fighting for ISIS. Receiving Syrian Foreign Minister Walid Muallem recently in Moscow, President Vladimir Putin suggested that we all think – the sooner, the better – how to pool the efforts of all those who realise the terrible threat emanating from this terrorist organisation against which Syria and Iraq are fighting. Iran is vitally interested in preventing the spread of ISIS influence. Many combat groups that do not list themselves as extremists or terrorists and proclaim themselves a moderate opposition to the same Syrian Government can well replenish the ranks of the coalition that we would like to encourage in every possible way. But to achieve this, the external sponsors of these groups should realise the global danger of this terrorist phenomenon and concentrate on its neutralisation. Once this is achieved, it will be possible to recall some old disputes and problems. At any rate, our initiative, as formulated by President Putin, is to promote more actively the peaceful settlement of the Syrian crisis on par with the consolidation of all efforts in the struggle against ISIS. This position is gaining understanding in many capitals of the region and beyond, including among our Western colleagues. Question: The US’s rising activity in the Pacific region is obvious even to the uninitiated. I am referring to its expanding cooperation in military technology with Japan and South Korea and its attempts to resurrect old or create new economic alliances. Is this a response to the fact that BRICS is emerging as an increasingly weighty international alliance, or are these two parallel processes that are unrelated to each other? Sergey Lavrov: I do not think that this reaction is solely in response to the strengthening of BRICS. The United States announced long ago that its interests in the Asia Pacific region are expanding and it is becoming the number-one priority. As you have rightly noted, the United States has several military and political alliances in this region with Japan, South Korea and Australia. Our position has always been that military activity in this region and military and political actions by all countries in the region should proceed not within bloc-to-bloc formats but on a universal basis. Five years ago, Russia and China put forward an initiative that a discussion be opened on building regional security architecture on a non-bloc, universal foundation, which would be based on the principle of equality, transparency and respect and consideration for each other’s interests. I cannot say that this initiative immediately received full endorsement, but three years ago, consultations on the formation of a new, open, security architecture in the Asia Pacific region began on our initiative as part of East Asian Summit mechanisms, which represent all of the Asia Pacific countries. There have been three rounds of such consultations – in Brunei, Russia and Malaysia. The next round is set to take place in Indonesia. So, it will be a long process. Too many problems have accumulated and regional organisations are too divided. There are mechanisms related to ASEAN and there are separate military and political blocs that I have just mentioned. However, if we work on this initiative in a consistent and focused manner, it will have a chance. 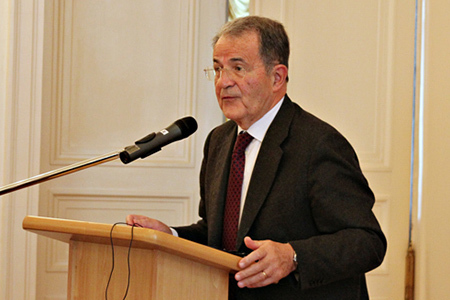 Question: What insurmountable problems remain at the Vienna talks on Iran’s nuclear programme? Some sources say the deadline for a final solution could be extended to July 13. What is your timeframe here? Sergey Lavrov: There are no insurmountable problems unless a participant in the process (this will definitely not be the Russian Federation) at the very last moment attempts to take advantage of the negotiation process under the pressure of a deadline. Regarding deadlines, if everyone follows the framework agreements that were reached back in April in Lausanne, they can easily be met. During the time that has passed since the start of the current round, positive shifts have occurred and some new wording has been agreed upon on a daily basis. So, I hope that no one will call into question the work that has already been accomplished and assume responsibility for disrupting a virtually ready agreement. As for the timeframe, we have never set contrived dates. We have proposed timelines. One was June 30 and then July 7. Now, as we left Vienna, all of our colleagues agreed that what is paramount is the quality of the agreement, which should ensure a balance of interests, guarantee the nuclear nonproliferation regime and ensure the legitimate rights of the Iranian side. Of course, it should ensure the security of all countries in the region. I believe the important thing is that this agreement will help lay the groundwork for a conference on creating a zone free of weapons of mass destruction in the Middle East. This decision was made a long time ago, five years ago. Unfortunately, this happened neither in 2012, when it was supposed to have taken place, nor this year, when yet another attempt was made. This is not the fault of Iran but of our Western partners, who for some reason failed to support a draft plan that was absolutely acceptable to all of the others. However, those who cite Iran’s nuclear programme as a pretext for dragging their feet on calling this conference have certainly lost this argument. Question: I would like to ask you about the Crimean agenda at the talks (in Ufa). Even though the talks are under way, the BRICS and SCO participants have not recognised Crimea’s reincorporation into Russia. How important is this issue to Russia? Can any of the countries be expected to recognise Crimea [as part of Russia] in the foreseeable future? Sergey Lavrov: I do not know if there is a “Crimean agenda” in the first place. There is no such problem for the SCO or BRICS. None of our partners have declared the non-recognition of the referendum results, which have served as a basis for Crimea’s reincorporation into the Russian Federation. In the documents that you will see literally in a few hours, the BRICS and SCO leaders reiterate their shared position regarding the need for the full implementation in good faith of the Minsk agreements, which have nothing to do with the “Crimean agenda.” I believe everyone understands – even those who are unable to stop talking about this – that the Crimea issue is closed. It was closed by the people of Crimea and the decisions made by the Russian Federation in response to the clearly expressed will of the Crimean people. Question: A proposal was made during Syrian Foreign Minister Walid Muallem’s recent visit to Moscow to create a coalition to fight ISIS. Mr Muallem gave a rather ambiguous answer during your joint news conference. He said the initiative would be a miracle. How realistic do you think it is to create such a coalition? What role could Russia play? What steps are being taken to implement this initiative? Sergey Lavrov: I do not think Mr Muallem responded ambiguously to the initiative, which was proposed when the Syrian representative was received by the President of Russia. Yes, he did say “it would be another miracle,” because Russia, he said, has done a lot of things that were close to impossible to prevent the collapse of Syria. He was referring to our contribution to a comprehensive solution to the problem of Syria’s chemical demilitarisation. In this process, the Syrian leadership has collaborated flawlessly with the Organization for the Prohibition of Chemical Weapons, with the UN, with all the countries that were involved in the implementation of this large-scale and rapidly completed project. So what I saw and heard in Mr Muallem’s statement was absolute support of the initiative put forward by Russian President Vladimir Putin, and probably some justified doubt that other countries to which it was addressed – not Syria – would be able to combine their efforts so quickly. You see, we are not proposing to create some new kind of coalition. We analysed the situation and said to our partners – here is ISIS, which has been declared the number one enemy by all countries in the region. Everyone understands that its target is not Syria or Iraq, where they have seized vast territories and declared a caliphate, or Afghanistan, where they have appeared in the past weeks and months, nor Libya, where the ISIS emissaries have been seen trying to turn their territories into a caliphate. They are targeting two Muslim shrines, and are not even hiding their intention. The mutual grudges and problems need to be put aside. It's a fight for the survival of Arab states, its priorities are clear. So when you ask if it is realistic for Saudi Arabia, Turkey and other countries that do not have the best of relations with Bashar al-Assad’s regime right now to join forces within this coalition, I think, in the first place, you shouldn’t be talking about this being realistic, but about this being absolutely necessary. As you know, we had Saudi Arabia’s Defence Minister, Crown Prince Mohammed bin Salman attending the St Petersburg International Economic Forum and talked to him about how terrible the threat of terrorism in the Middle East and North Africa was. This issue was also discussed by President Vladimir Putin and Turkish President Recep Tayyip Erdogan who met in Baku on the sidelines of the European Games opening. We have no hidden agendas. We speak frankly with everyone, outlining our vision of the situation. We are always ready to listen to other parties. At least at this stage, we do not feel that this initiative is undervalued. We will continue to work on it. In fact we are already doing it on a daily basis, because the task is also becoming more complicated every day. Question: Are there any statistics on Russian citizens recruited by the Islamic State? Sergey Lavrov: You know, estimates differ. Our representatives, including the Secretary of the Russian Security Council Nikolai Patrushev, and one of my deputies Oleg Syromolotov put the number at about 2,000 in recent interviews. According to our estimates, this figure includes hundreds of former or current Russian citizens who have left for permanent residence in Europe. Question: You have already mentioned the coalition of nations that are threatened by ISIS. Is it possible that Russia will also become part of this coalition, because there is a broad field of activity for the terrorists there? Other SCO and BRICS members may be affected as well. China may also face problems. Sergey Lavrov: We will continue to be in charge of the security of our borders and our nation. That region has enough armed men who can fight ISIS. It is crucial – and that’s what we are trying to accomplish – that all of them unite in order to fight this major threat. However, now they are often at odds with each other, and pursue their own local goals in the numerous conflicts going on in the region. Our initiative is designed to separate the wheat from the chaff, so as to be able to see the key threats to all, such as ISIS and the like. Question: Did you have the chance to hear or read yesterday's speech by Prime Minister Tsipras of Greece in the European Parliament? What did you think? How does Russia assess the risks posed by Greece potentially leaving the euro zone? Sergey Lavrov: Our stance has been stated repeatedly by President Putin. We are interested in finding, as soon as possible, a generally acceptable solution to the Greek debt situation and ways to overcome it. Contrary to speculations in some media, we aren’t interested in adding fuel to this fire. Someone tried to accuse us for rubbing our hands as we watched Greece argue with Brussels, Paris, and Berlin. This is absolutely not true. It is a gross distortion of our position and our interests. We are interested in a strong, properly functioning, and economically growing European Union. Clearly, this cannot be done if an EU country, especially one in the euro zone, is in the grips of such a crisis. Therefore, we are all for finding a mutually acceptable solution. As far as I know, as we speak, European leaders, including the Prime Minister Tsipras of Greece, are doing exactly that. We wish them success. Question: Egypt has recently filed an application to join the SCO. What are its chances of success? What are the main criteria for admitting new members to the SCO and BRICS? Sergey Lavrov: Expanding BRICS is out of question. That is the common position of all five states. First, we must implement all the existing plans of the five nations. Today, you will learn about all the decisions that have been made. My deputy, Mr Ryabkov, has briefed journalists in detail about these decisions. Our goal now is to put all this on a sustainable track, and then we’ll see. BRICS has no statutory documents that regulate membership issues. This is an absolutely informal association. We are now creating the BRICS Virtual Secretariat, but we do so solely to streamline the organisation of the numerous events that are held throughout the year between summits. The SCO documents provide for its expansion. Moreover, there are various membership categories, as we already mentioned today: members, observers and dialogue partners. There are about a dozen formal and informal requests for a particular status. The results of reviewing such requests from India, Pakistan and other countries will be announced tomorrow. As far as I understand, Egypt filed such a request a few days ago. It will be reviewed in accordance with the criteria laid down in the statutes, which clearly outline the procedures. Yes, we need consensus, but the discussion must begin one way or another. There’s the Commission of Senior Officials. The SCO is a fairly structured organisation, so these questions, just like any other, will be considered in keeping with the agreed procedures. Question: I’d like to go back to Iran's nuclear programme. Lifting the arms embargo remains an unresolved issue. In particular, the media reported that gradual lifting of the embargo is being discussed. First, it will be "frozen," and then completely lifted. This process may take from two to eight years. Can you confirm this information? What does Moscow think about this? Sergey Lavrov: I’m not going to confirm anything, because I don’t want to violate the spirit of the negotiations. The outcome will be announced. Speculating on it is pointless. I have already mentioned the principles of gradualism and reciprocity today. They are the key that opened up many "dead ends" over the past many months of negotiations. We are for lifting the arms embargo first. We are now talking about the sanctions introduced by the UN Security Council, because we don’t believe that the unilateral sanctions imposed by the United States and the European Union, which are much tougher than the UN restrictions, are legitimate. All the more so, since the Americans have tried and continue to try to use them extraterritorially, by spreading its jurisdiction to other nations. The UN Security Council sanctions were introduced for two primary reasons: first, when there were major doubts about the peaceful nature of Iran's nuclear programme and the existence of a major military dimension. Sanctions were imposed, which pinpointed the organisations, companies and individuals involved in the Iranian nuclear programme, in order to affect the processes limiting the progress of the programme. The second set of sanctions was adopted when Iran refused to negotiate. The UN Security Council used these sanctions to politically and economically persuade Iran to sit down at the negotiating table. These sanctions included the arms embargo. However, Iran has been sitting at the negotiating table for a while now. Therefore, we are for lifting the arms embargo as soon as possible. All the more so, as you and I have just found out, because Iran is a consistent proponent of fighting ISIS and eradicating this threat in the region and in all other parts of the world. Lifting the arms embargo will help Iran increase its combat capability in the fight against terrorism. Of course, Tehran has the final say in the shape of the compromise, and what decision will be incorporated in the final settlement of the Iranian nuclear programme. I reiterate, this is a package of agreements. What time frame on the arms embargo our Iranian colleagues agree to is up to them. We are for lifting of the embargo expeditiously. We will support the choice the Iranian negotiators make. Question: The leaders of Russia, China and Mongolia will meet today. What are the key points of this meeting? What is Russia’s priority in cooperating with these three countries? Sergey Lavrov: The Russia-China-Mongolia format has been around for a while at the level of experts and deputy foreign ministers. A summit was held in Dushanbe last September. The three leaders met and agreed that, given the close historical ties, geographical proximity, and depth of the economic relations between our three countries, which go back a very long time, it would make sense to give this cooperation a new lease on life. The three leaders instructed their respective ministers of foreign affairs, the economy, energy, and transport to develop documents that would promote trilateral cooperation on a mutually beneficial basis. This mandate has been fulfilled. A package of documents, which covers the economy, infrastructure, and the transport sector, as well as cultural issues and foreign policy cooperation, is in place. I believe that this is a very effective process. Perhaps we should have started such regular trilateral meetings earlier. China and Russia are Mongolia's two neighbours, and we are destined by geography and our history to live together. It’s imperative that we use these advantages to the utmost. 600: 30 seconds to mars. Foreign Minister Sergey Lavrov’s news conference on the sidelines of the BRICS and SCO summits in Ufa, July 9, 20159 July 2015: Foreign Minister Sergey Lavrov’s news conference on the sidelines of the BRICS and SCO summits in Ufa, July 9, 2015! лучшие комедии. 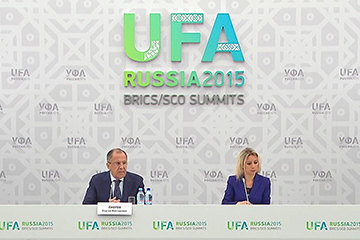 Foreign Minister Sergey Lavrov’s news conference on the sidelines of the BRICS and SCO summits in Ufa, July 9, 2015.